Aaron O’Brien is a magician who is based in Southern California. He has been fascinated with magic ever since receiving his first magic kit for his fifth birthday. At age 13 he auditioned and was accepted into the Junior Society at the World renowned Magic Castle. 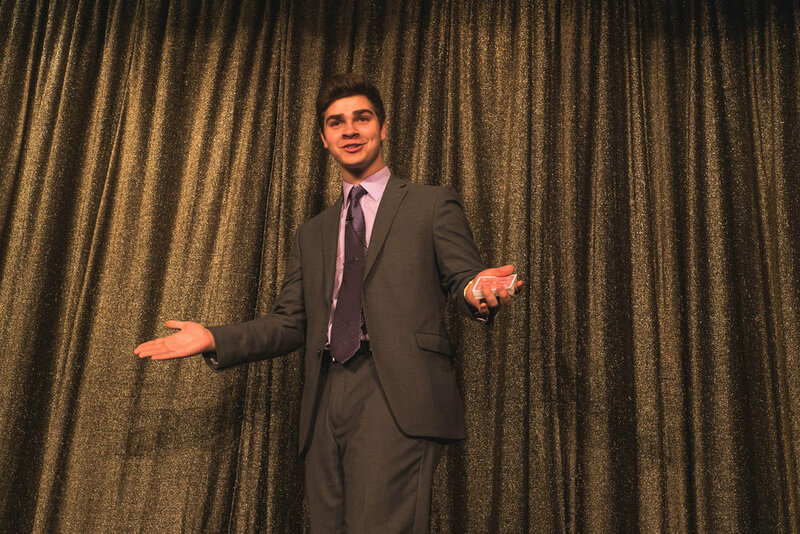 Besides being a regular performer at the Magic Castle, Aaron has also performed for: Jack FM, Nick Vujicic, many schools, non-profits, churches, various hotels and resorts, private and holiday parties. One of his proudest moments was performing at the Ronald Reagan Library for their annual Christmas dinner which included an audience of over three hundred attendees. Performing magic has opened the doors for Aaron to meet people he may not have otherwise met, including many well-known magicians and celebrities.